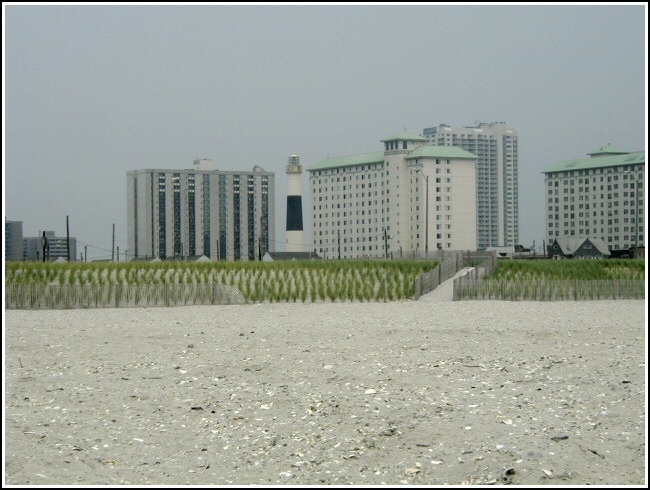 A quick walk from the boardwalk through the surrounding run-down neighborhoods brought us to the Absecon Lighthouse, which we'd first spotted from the beach. The air-conditioned museum was a welcome break on this very hot and humid day. Strange as it may sound, this lighthouse stands several blocks inland. At first I assumed it had been moved from its original location, but according to information found at the site this was not the case. A project in the 1870s to save and replenish the fast-eroding beach (and the lighthouse) stabilized and built up the sand, and the water line thus retreated, putting more distance between the lighthouse and the shoreline. The keeper's house has been restored and now houses a small museum, and a park surrounds the house and tower. The park is located at the intersection of Pacific and Rhode Island Avenues. 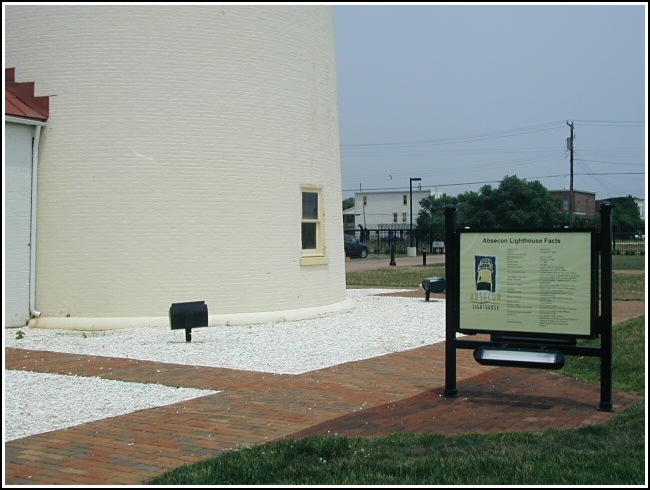 The lighthouse has been repainted several times throughout its history; it's now a light shade of cream with a dark navy band. 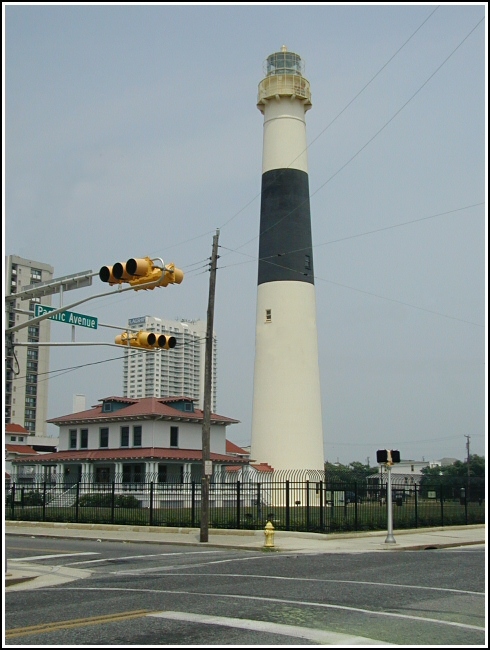 At around 170 feet, it's the tallest lighthouse in New Jersey and the third tallest in the United States. View from the corner of Pacific and Rhode Island Avenues. There’s a peaceful park at the base of the light.